Sunderland midfielder Lee Cattermole insists there’s no need to panic! Sunderland are yet to make any new signings this summer – but Lee Cattermole insists it is far from panic stations. The protracted departure of Sam Allardyce overshadowed the early part of pre-season, when other Premier League clubs were moving swiftly to improve their squads. The distinct lack of incomings at the Stadium of Light has led to growing anxiety and concern among supporters – with Sunderland the only top-flight side still to make a signing. Cattermole, though, is confident that the quality additions needed will arrive – and he says they will have a fight on their hands to secure a first-team spot straight away. The combative midfielder concedes David Moyes’s squad is low on numbers heading into the 2016-17 season. But the 28-year-old believes there is real quality within the current squad – with competition to be named in the team on the opening day at Manchester City on August 13 high. “What we have got is small numbers, but we have a lot of quality within those small numbers,” Cattermole said. “If we can add three, four or five new players that are competing for places then that would be great. “It is obvious we need players – the season is too long and demanding to go into the season with the numbers we have got. “I’m sure we will be adding to the squad. But the players we have got, if you look at the starting XI, then there is competition for places. “The season starts in two weeks and I think they are going to have to be good players to come straight into the team. “There is no panic for the start. After two or three months, we will need players ready and if we can add some quality with the numbers then that would be great. New chief executive Martin Bain and Moyes are working round the clock to bring in fresh blood, with a right-back, centre-back and new striker the main priorities. Cattermole has been impressed with Moyes’s approach – with the manager keen for his side to be well-drilled and organised. Cattermole said: “Usually you find when a manager comes in, you speak to other players and people at clubs who have worked with him, but I didn’t know anybody bar Jack Rodwell. “He has been brilliant though, he has come in and been very simple, to the point and tells us exactly what he wants. Improved fitness levels have been noticeable too among the playing squad at their base in Evian-les-Bains on the banks of Lake Geneva. Last year, Sunderland played pre-season games in America and Canada and Cattermole admits the schedule this year has been perfect, with training camps in Austria and France. “I feel a lot better than I did this time last year. The travelling we have done is all pretty much on the same time zone,” added Cattermole. “The preparation has been fantastic, the facilities are great and it has been warm at times, but that is good for the lads. The former Wigan and Middlesbrough midfielder captained Sunderland in the 3-2 win over French Ligue 1 side Dijon on Wednesday. 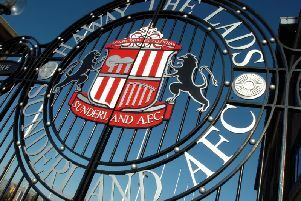 Victory ensured that Sunderland maintained their 100 per cent record in pre-season ahead of tomorrow teatime’s game against Montpellier HSC (5pm kick-off), their final game in France. “Sometimes when you play a better standard of opposition the games can become more tactical and slow-paced,” he added. “It was important we tried to keep the tempo high, which was difficult at times as Dijon controlled a lot of the game. It was a solid performance overall and a good win. “We have played four and now won four. “We have played a Championship team in Rotherham United and now a Ligue 1 side, so the standard of opposition is getting better. “Dijon were going to have more possession and they are used to the conditions more, but we handled it well.